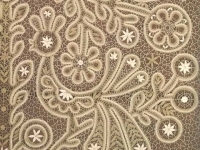 Our river trip in May 2013 took us through the Vologda oblast (region). 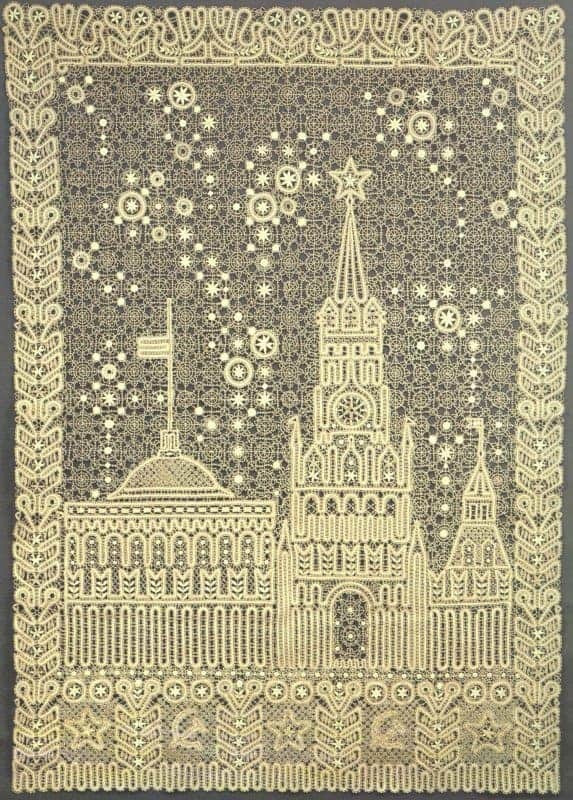 We made a stop to visit the Kirillo-Belozersky monastery. 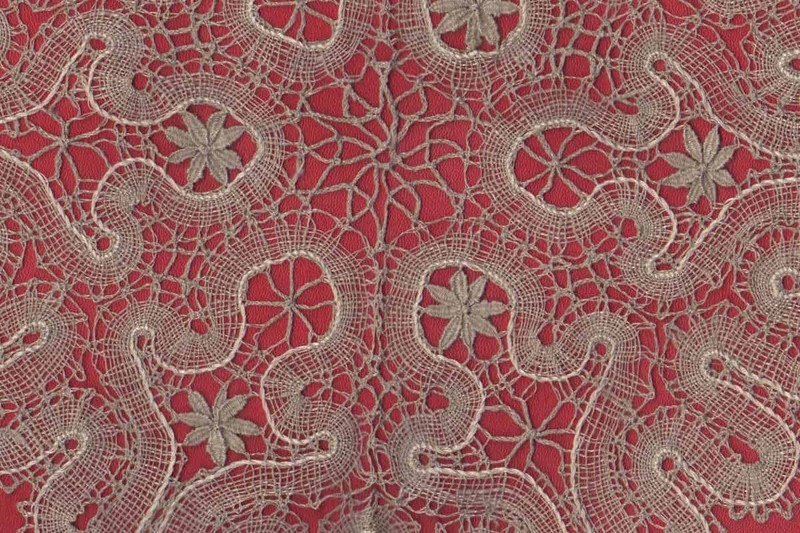 Unfortunately it was a cold, dull and drizzly day – the only dreary day we had on the trip – and I didn’t take any photographs there. 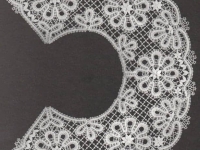 What the name ‘Vologda’ brings to mind to me is lace – Vologda being probably the most famous centre of lace-making in Russia. 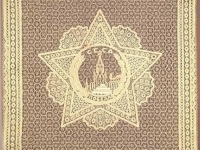 (Yelets in Orel province is also an important centre.) 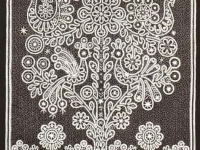 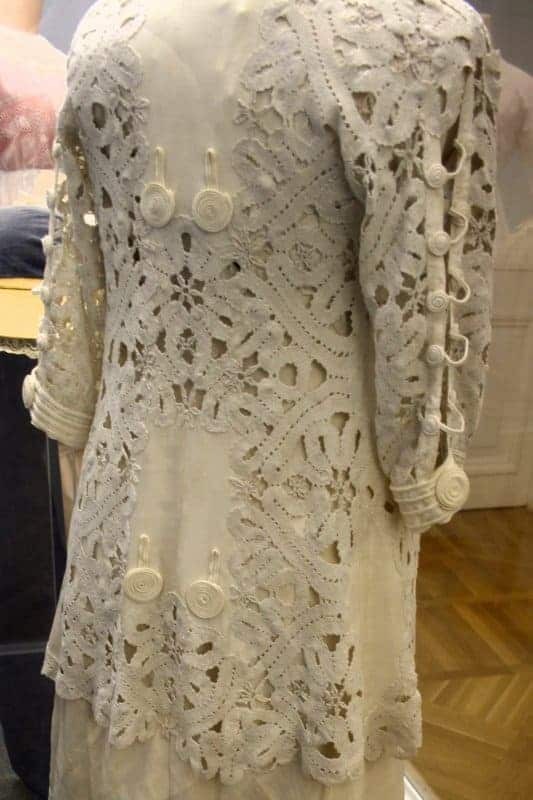 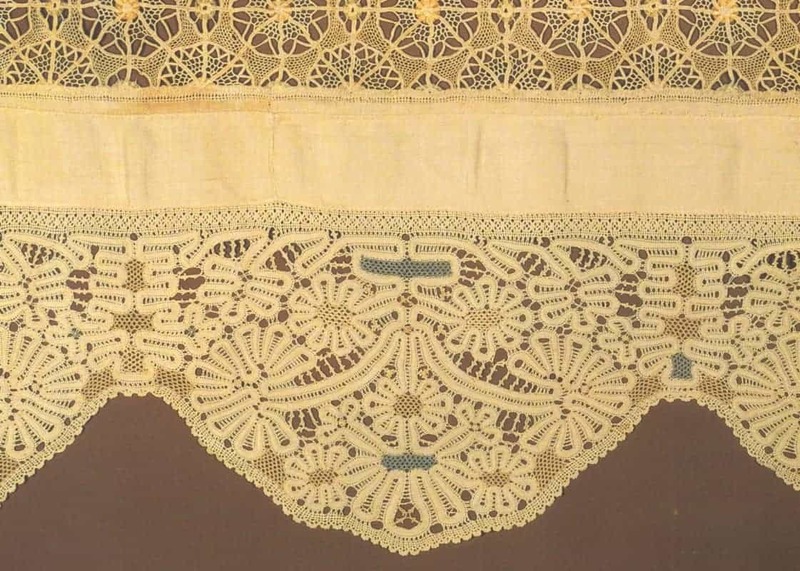 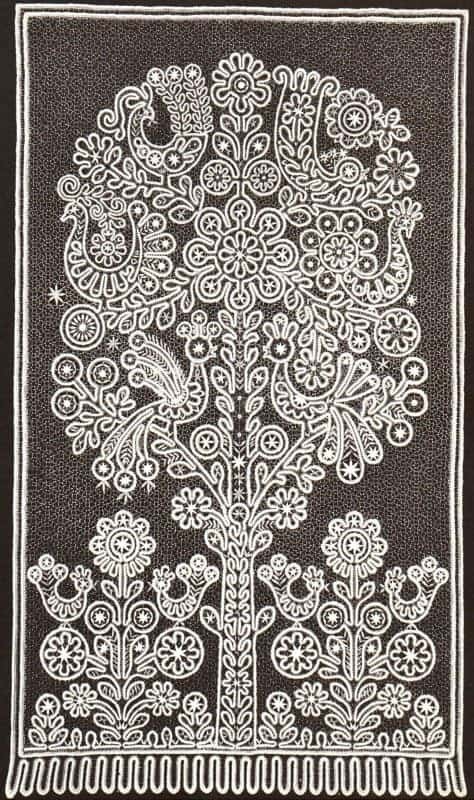 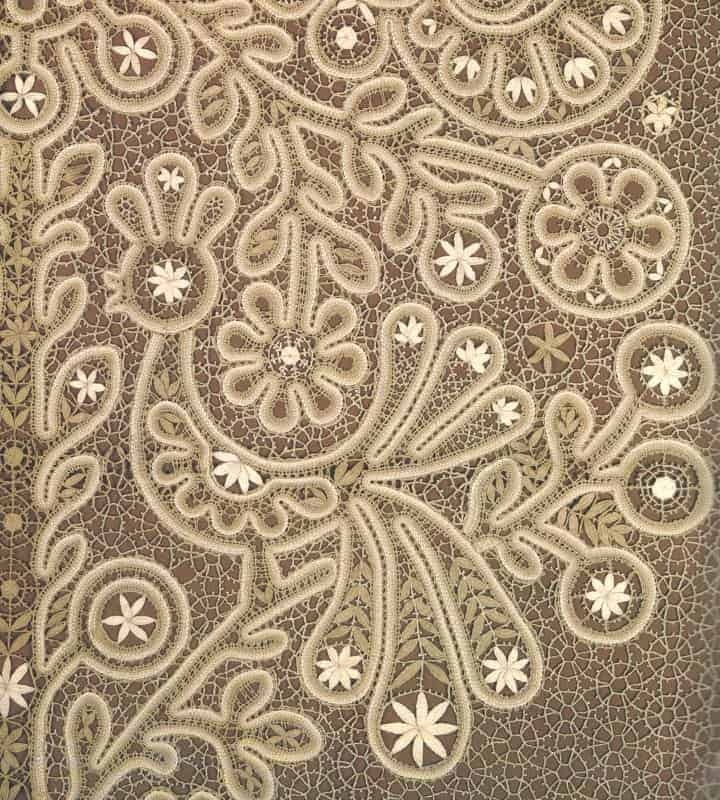 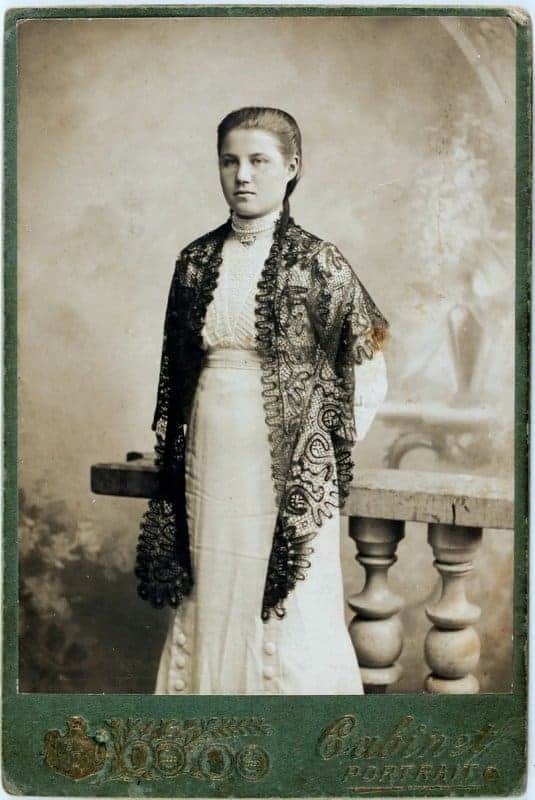 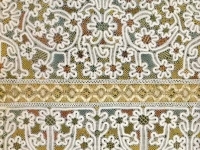 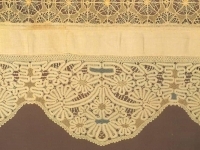 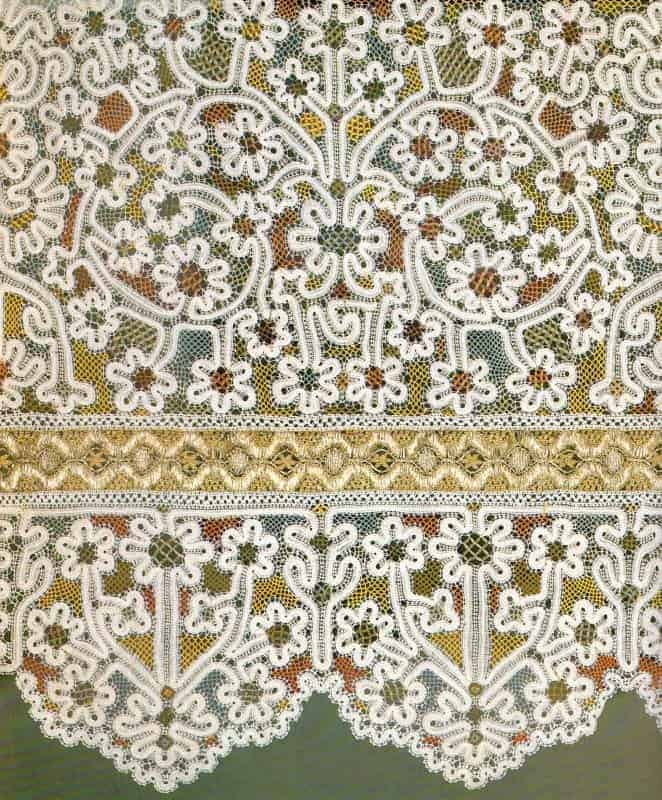 I know very little about the technique of making lace (more about embroidery and printed textiles), though I have quite a few examples in my own collection of Russian textiles. 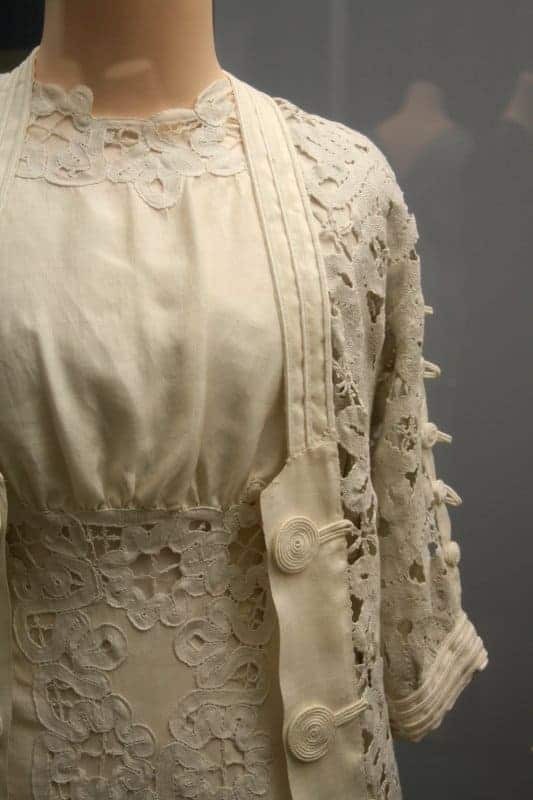 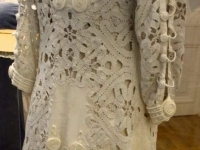 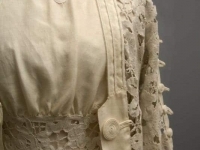 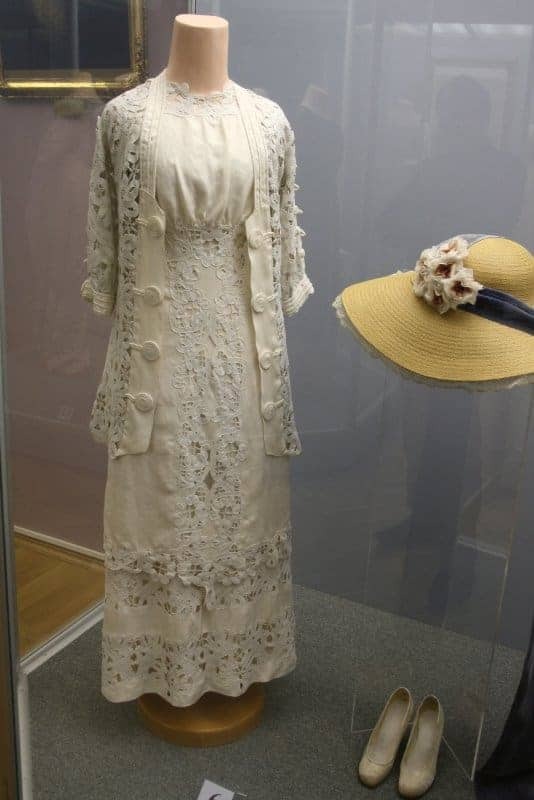 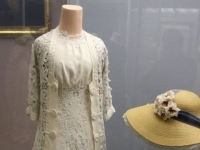 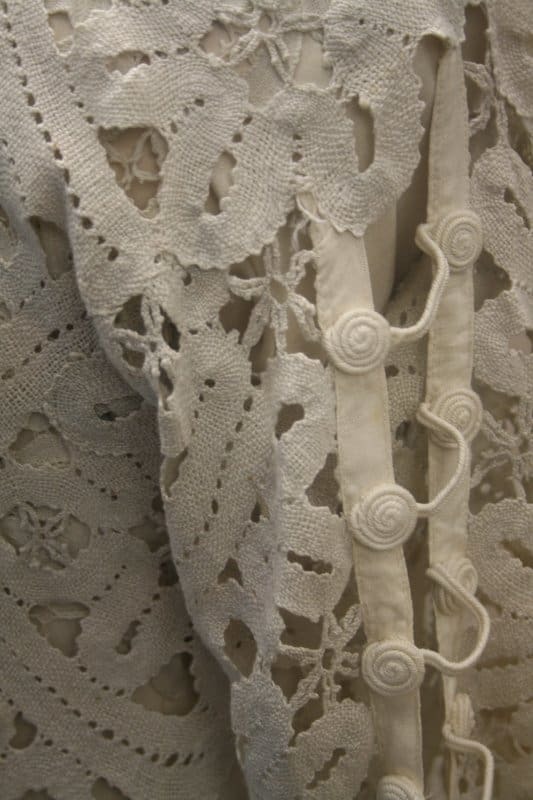 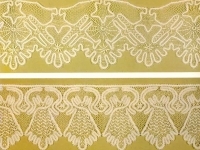 Lace features in many styles of historical Russian dress, in all layers of society. 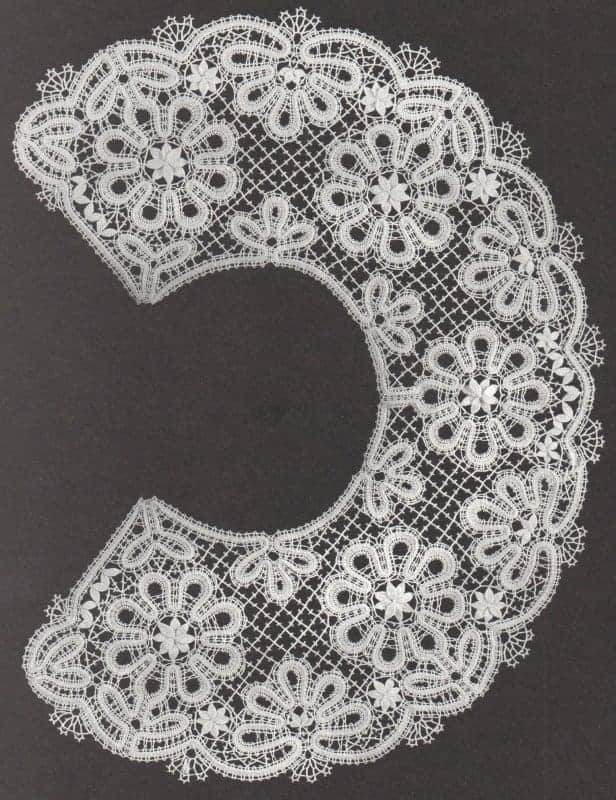 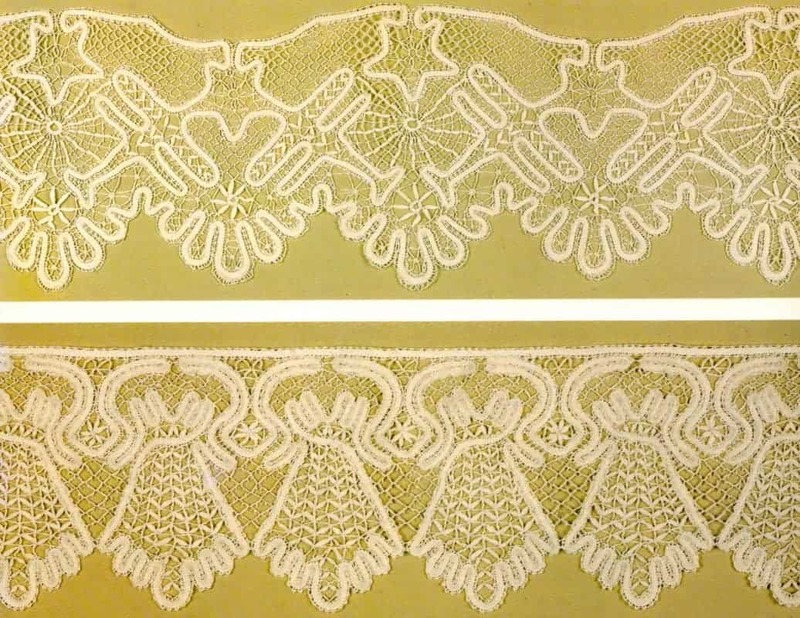 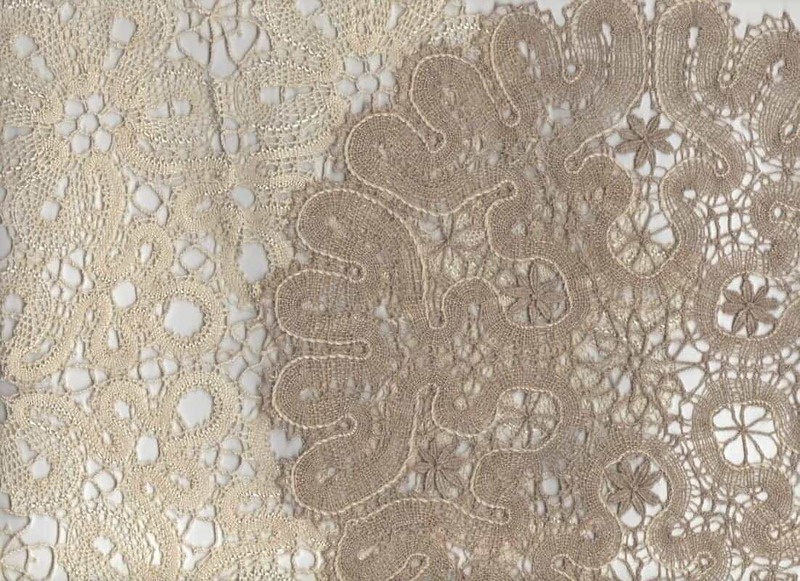 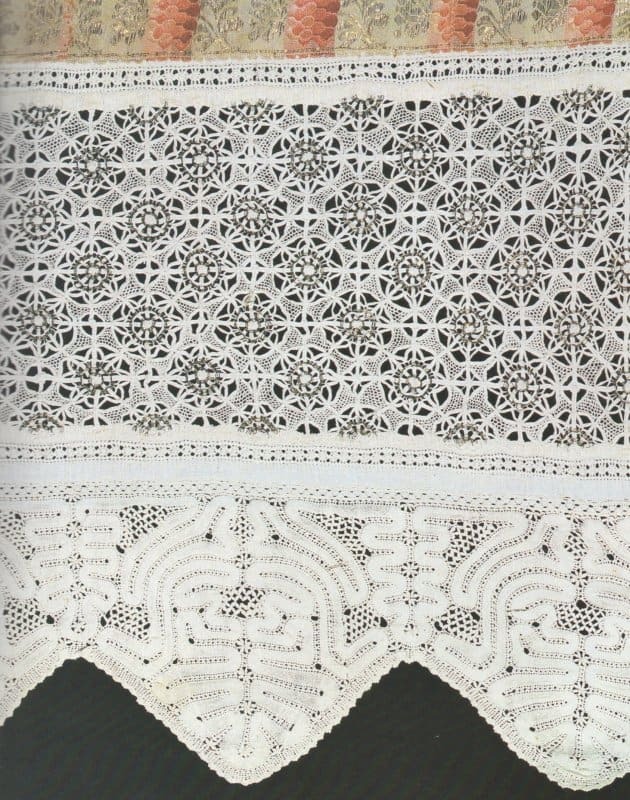 From Russian Bobbin Lace: ‘There are two main types of lace, namely needlepoint lace, made with a needle, and bobbin (or pillow) lace – the traditional type of lace-making in Russia. 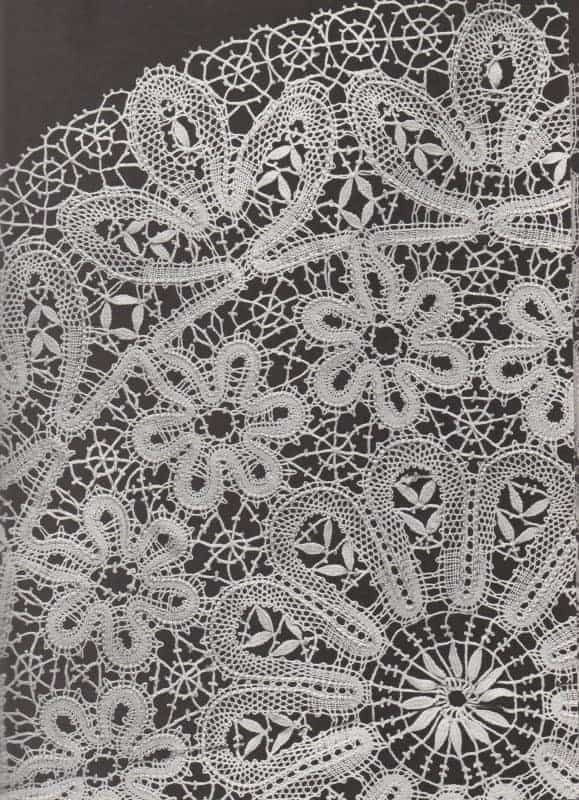 Bobbin lace is made on a pillow, to which the parchment or paper pattern is pinned. 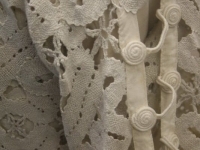 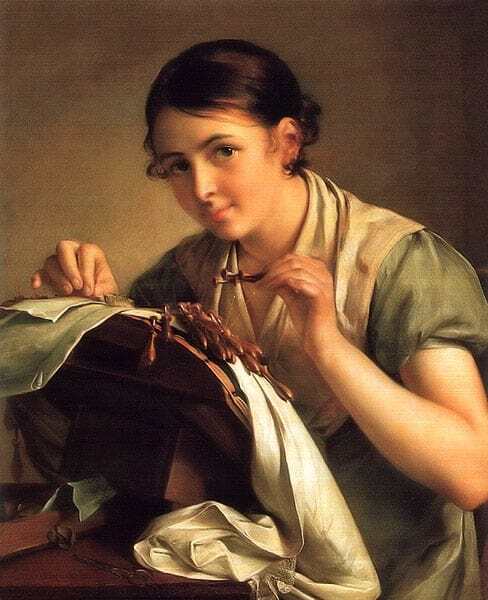 A number of threads, with a pair of bobbins attached to each, are tied to the pins, and the bobbins are moved from side to side to form a twist, a braid, or a clothlike fabric. 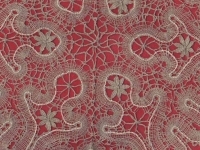 The museum of lace in the city of Vologda features in a slideshow on the russiatrek.org blog, and some contemporary lacemakers explain their craft on a ‘Russia Today’ video. 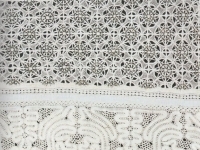 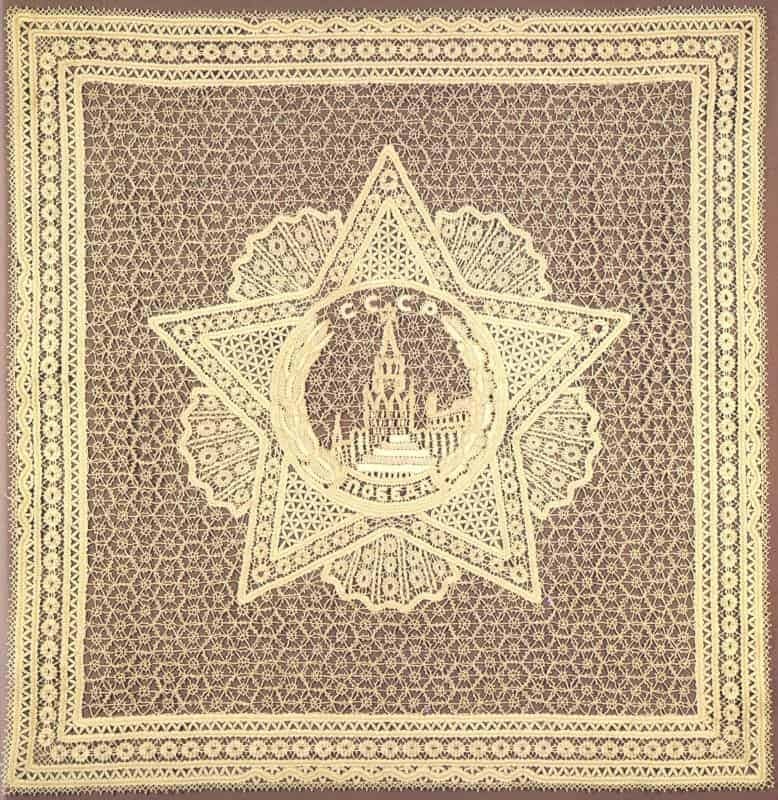 The patchwork designs used throughout the branding of the 2014 Sochi Winter Olympics drew on motifs from many different Russian crafts, including Vologda lace. 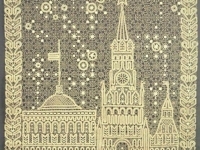 Have a look at the website of Bosco, the supplier who devised the look. 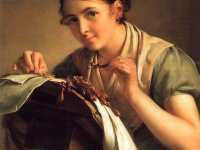 Click on ‘Look of the Games’ to find more about all these crafts.